SKU: 5160. 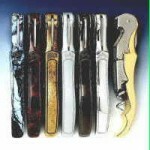 Categories: Gizmos Gadgets, Premium Corkscrews, Pulltap Corkscrew, Pulltap Corkscrews. 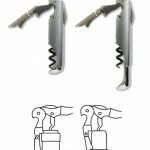 The compact pulltap Brucart corkscrew is a unique extracting system. Place the unit over the bottle. Turn the entire unit clockwise to insert into the cork. 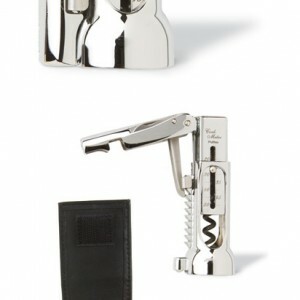 The axis in the center rises to act as an indicator to tell you when the cork is fully inserted. 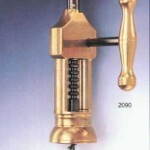 Pull the 2-1/2″ lever arm away from the body to activate an eleven-step ratchet and spring loaded arm to extract the cork. Works like the puigpull carjack style opener. Latest innovative new opener on the market. Teflon® coated spiral, stainless steel blade. 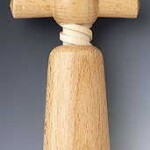 2-7/8″ High 1.5″ Wide. Can be imprinted. Be the first to review “Pulltap Brucart – by pulltex” Click here to cancel reply.